Tulagi: RM Ward (deep destroyer). Uepi: Point to Point across channel. IT HAS been a very long time since scuba diving was part of my holiday activities, brought about by bad sinuses and a problem equalizing. Normally I don’t get too green-eyed watching wet-suited folk flippering backwards into the water, or off the side of a boat, to go on an underwater adventure. 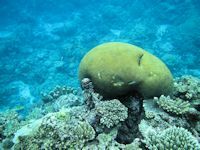 However, in the clear waters off Uepi Island in the Solomon Islands’ Western Province, I did get jealous as a small group of divers made their way into the depths. They had plunged in from one of the Uepi Island Resort’s longboats, quickly got their bearings and then – trailing clear bubbles in the blue tinged waters – eventually disappeared. Later we discovered they had a memorable encounter with hammerhead sharks and had been thrilled by the experience. They were regular divers from America and this was their second journey to that part of the Morovo Lagoon – the largest saltwater lagoon in the world. The Uepi Island Resort is well known in world diving circles not only because of its proximity to stunning underwater landscapes, but also it is owned by veteran – and devoted – divers Jill and Grant Kelly. Their island alone offers 10 dive sites where you can come mask to face with all manner of sea creatures including giant trevally, barracuda, manta rays, turtles and surprisingly benign sharks. For those of us who don’t dive there is always snorkeling and who could resist donning a facemask and fins to explore fabulous coral reefs in 28C waters. It’s like a 3D underwater movie in a giant warm bath and in waters where, on the bottom, visibility often exceeds 40 metres. On our excursions to snorkeling spots we can see why this place gets divers of all persuasions reaching for their masks and flippers. In almost any direction from the Uepi Island Resort, off the southern tip of New Georgia, a short boat ride will deliver dive spots where you can enjoy nature at its best. Our introduction to Solomons snorkeling was at Landoro Gardens where a new world opens up among major coral reefs that rise close to the surface only to drop away into very deep trenches. The reef formations are extensive and made up of so many different shapes and colours of coral they are impossible to count. They are large platter-like ones, thick stag-horns and others that look like giant yellow brains. It is an underwater wonderland filled with seemingly never-ending scenes to explore. Swimming amid the reef’s contours are brightly coloured fish that catch your eye as they make their way through the sunrays spearing down into the water. For out-of-practice snorkelers the difference between hovering over the shallow coral compared with the deep-blue trenches is dramatic and can be unnerving, but those moments are fleeting as the beauty of your surroundings takes over. Our next stop was Roma where we followed a gently sloping coral expanse along the protected side of a jungle-covered island. The resort’s longboat followed our progress along the submarine prairie as we finned above it marvelling at the abundance of life within its myriad shapes and textures. Our guide told us the water was not as clear as usual – following a storm and very heavy rains – but lying on the surface looking down it was clearer than anything you’d see off the New Zealand coasts. And with the coral being so close to the surface photographers can get some great shots with the formations being mirrored off the water’s surface. 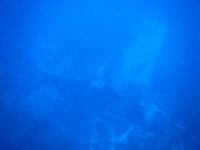 In another part of the Western province, this time in the Vonavona lagoon near the island of Gizo we had the chance to snorkel over the reasonably intact remains of a WWII fighter plane. The US Hellcat is submerged in about seven metres of water and can be seen quite well from the surface. Its pilot was brought down by friendly fire - that is by his own side – during a dogfight, but managed to survive with a textbook splash landing and the help of local natives. The wreck is remarkably well preserved and will appeal to both snorkelers and those with scuba gear. If you are a diver then the Solomon Islands offers pristine waters amid wonderfully unspoilt natural beauty. You can explore an area knowing you are one of only a few people who have journeyed to see what you are witnessing and that puts a price beyond measure on your adventure. The Solomons also offer a host of chances to dive among WWII aircraft wrecks and sunken naval vessels allowing you to witness the devastation war wreaks – even in such a paradise.